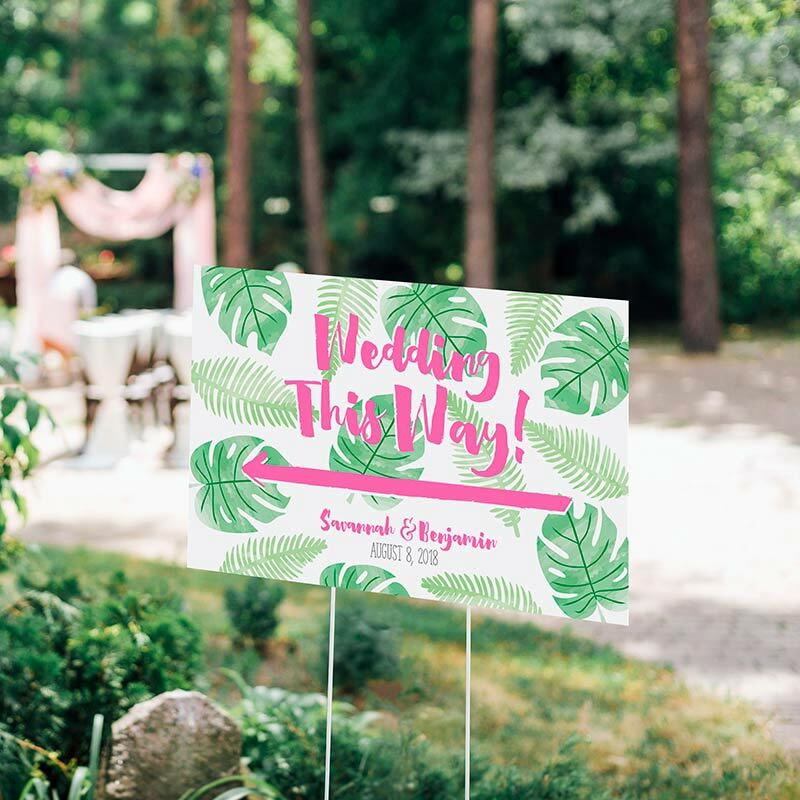 Our Personalized Directional Wedding Sign with a Kate Aspen Pineapples and Palms design gets your guests excited for your tropical or destination wedding! 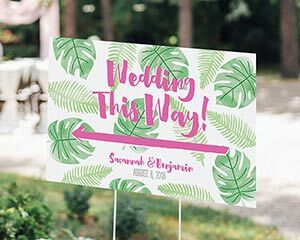 The sign shows a sprinkling of pineapple leaves and palm leaves, with your names and event date on two lines of custom text along the bottom of the sign under the hot coral arrow. To place into the ground or sand, simply use the included wire stand!